Here at Destinations Magazine, we’re conscious that places aren’t experienced in isolation: it’s about the journey, too. 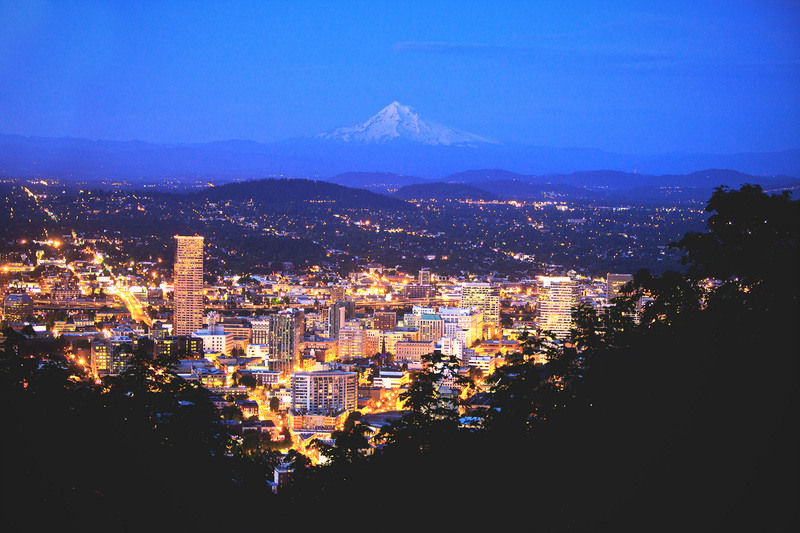 In the last of a four-part series exploring the state of Oregon, we enjoy ingenious locally sourced food and drink, and sift through must-have design and vintage treasures in Portland. The trees become taller and denser as we approach Oregon’s Mt Hood National Forest and climb up towards the sun. Above the treeline, the mountain is bare except for patches of snow and the track lines of chairlifts. Here stands the iconic Timberline Lodge, a monument to craftsmanship and reuse. An antecedent of Oregon’s contemporary maker culture, the lodge features repurposed train tracks, tyre chains and fabric. I run my hand along a wrought iron railing, acorn sculptures at the end referencing the trees outside. Power poles have become part of the bannister, with creatures carved at the top and lacquered up. The scale of the atrium is huge: pillars made of whole tree trunks surround a tall chimney. The place is as kitsch as it gets, but the craftsmanship is undeniable. There’s a tangible relationship between this building and the land, and between then and now. The familiar first notes of the unplugged version of Nirvana’s ‘Come As You Are’ creep onto the radio as we approach Portland, and I realise this is the closest I’ve ever been to the birthplace of grunge. Highway signs for Seattle underscore the point. All of a sudden, I feel something more in this song: to do with the snap of the cold, the surge of creativity, the raw energy of the band and the crowd. Entering the city, tents line the road, the first indication of Portland’s substantial homeless population. It’s a popular and expensive place to live, with a shortage of affordable housing; efforts have been made in recent years to bolster the city’s social welfare policies. We traverse one of many bridges criss-crossing the Willamette River, alighting at our venerable lodgings, The Benson hotel. My richly furnished room evokes old school glamour, appropriate for the building’s historical status. 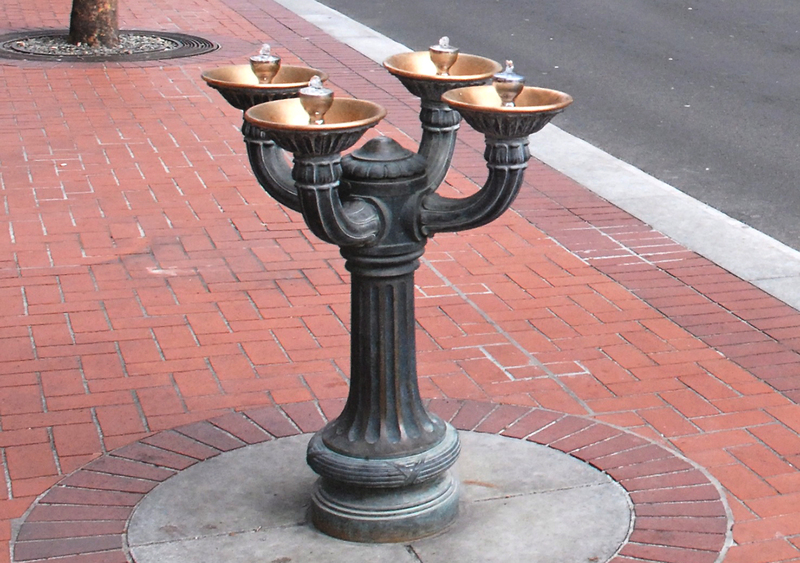 One of the ‘Benson Bubbler’ water fountains that line the streets of central Portland. As we walk to dinner, we note the bronze water fountains dotting the streets. The Benson Bubblers are named after the same businessman and philanthropist who constructed our hotel, who established the fountains as a means of encouraging workers to drink water rather than beer. Judging by the healthy local brewing scene, that’s not a legacy that’s held, though the fountains remain. At the intersection of SW 10th and Alder, we pass one of the food cart pods synonymous with the city — but we have another appointment. 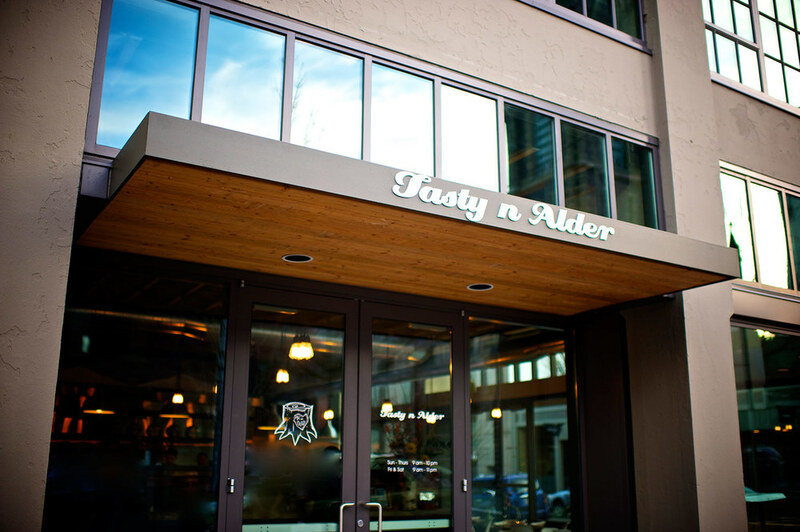 Arriving at Tasty ‘n’ Alder, a line snakes out the door. Luckily, our table is nearly ready. I begin with a cocktail of local Ransom gin, dolin blanc, chartreuse and aveze, with a splash of bitters. 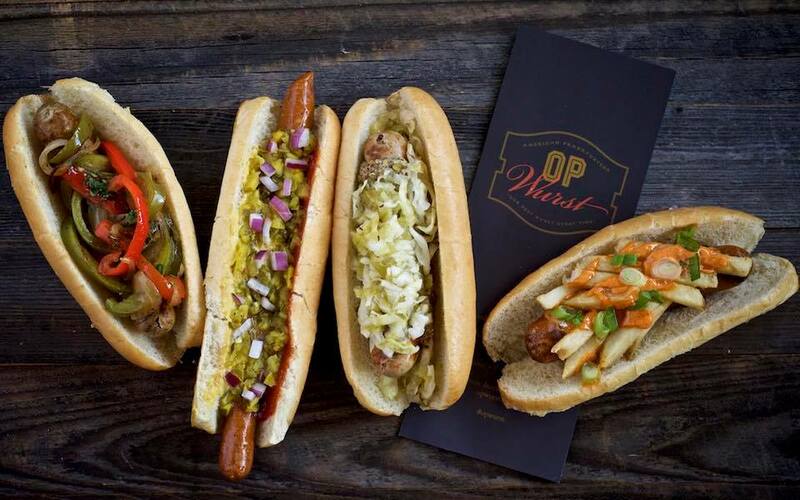 Expertly guided by our server, we share a selection of memorable dishes, dimly lit under Edison bulbs. The grilled octopus is tender and charred and the goat cheese dumplings are fluffy and mousse-filled. A sweet and salty apple brined pork chop, perfectly executed Argentinian-style ribeye, and ultra-moist salmon are accompanied by sides of Mexican street corn, potatoes crisped in duck fat with a surprise fried egg, and a truly exceptional radicchio salad. 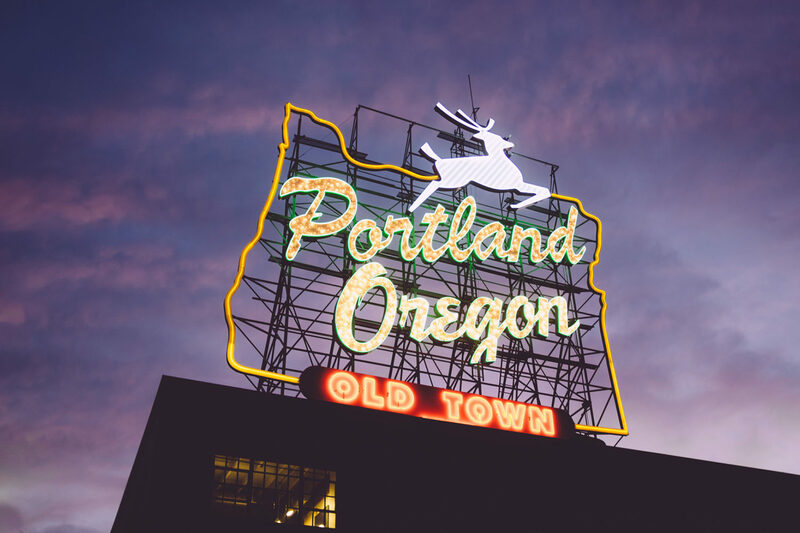 By this point in our Oregon explorations, it’s a given that most ingredients are sourced from local suppliers, like Portland Creamery, and Carlton and Creekstone Farms. The night is still young: there’s even enough time for a cocktail at the rooftop Departure bar — overlooking the Pioneer Courthouse Square, fairy lights in the trees — before dropping into Powell’s Books for some late-evening browsing. The Portland institution has a museological feeling: though I hate to use the work ‘curated’ to describe anything outside of a gallery or museum, in this case, it’s accurate. 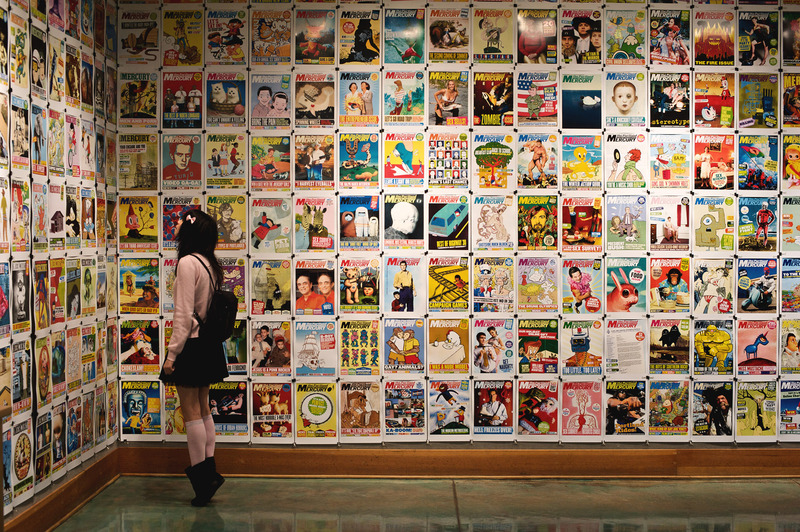 With a huge collection of new and used books shelved side by side in creatively themed sections and a healthy selection of well-justified staff picks, this is a place for wandering, for letting the right volume jump into one’s hand. I return to The Benson to a piano serenade in the opulent lobby, lit by crystal chandeliers. Next morning, the lobby soundtrack has pepped up to a classy selection of swing tracks and the first item on the agenda is donuts. While Voodoo is famed for its novelty creations, we keep things a little more refined with a visit to Blue Star, home of ‘donuts for grownups’. Another line meanders out the door, providing an opportunity to weigh up the delectable options in the cabinet. I pick out Meyer lemon and key lime curd, and Cointreau crème brulee, both of which perfectly encapsulate the desserts by which they’re inspired. A Stumptown cold brew coffee assists in the waking up process. 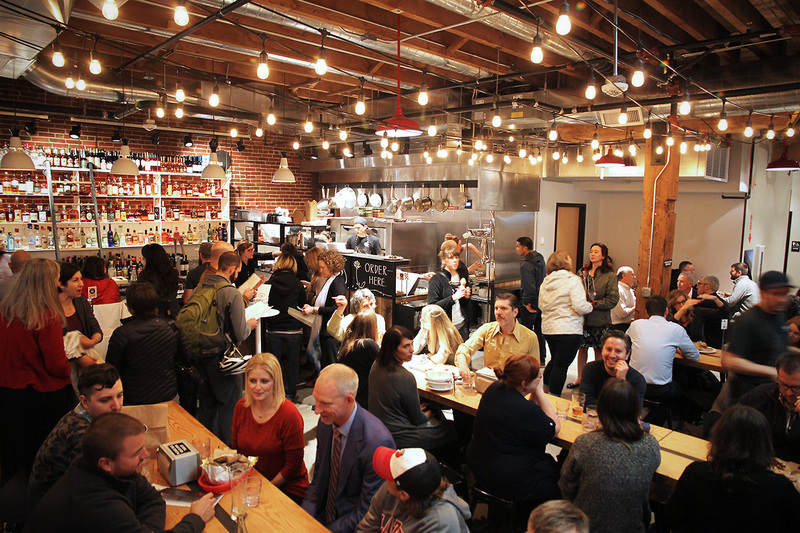 I take the morning to explore the nearby Pearl District, an industrial-chic design destination. I pick up a vintage designer leather jacket at Recycled Chic Consignment, flip through handmade cards at Oblation Papers & Press, admire the gorgeous out-of-my-price-range leatherwork at Halo Shoes, and receive a one-stop education on the sheer range of Portland’s maker culture at MadeHere PDX. A short stroll east brings me closer to the river and one of the city’s newest epicurean innovations, Pine Street Market. I race back towards The Benson hotel, past a gang of youths loitering outside a dilapidated outdoors store. A man selling the local street newspaper touts: “Come and get some before Trump tells you, you can’t have any… Oh, you laugh now, but come February when your neighbours start disappearing, you’ll wish you’d voted!” Does it get more Portland than this? Our group is collected from the hotel by Kieron of First Nature Tours, our guide for the afternoon to the less walkable reaches of the city. First stop is Cacao, stockists of local and international craft chocolate. Even individual chocolates in the counter cabinet are identified by source, and the European-style drinking chocolate — infused with cayenne pepper, ginger, and smoked paprika — is a treat. I’m particularly taken by the Woodblock bars, with their handwritten batch numbers and shiny wrappers that call to mind a Wonka bar: there’s something luxurious about that foil. They seem too precious to open — but if my time in Oregon has taught me anything, it’s that all this attention to detail is designed to be enjoyed. Next up is the Mississippi District, DIY central. The area’s Rebuilding Centre assists residents and businesses to reuse material from deconstructed homes and businesses, keeping Mississippi green. I think back to Timberline Lodge — the tradition is alive and well. Paxton Gate stocks all manner of curiosities, from taxidermy to handmade jewellery. Creative clothing tags at Flutter provide endless entertainment: a bright red vintage jacket promises to make me “feel like a ver-million bucks.” A rainbow flag and Black Lives Matter sign in the window make political positions clear. Down the street, the walls of The Meadow are lined with an insane range of artisanal bitters, salts, and chocolate. 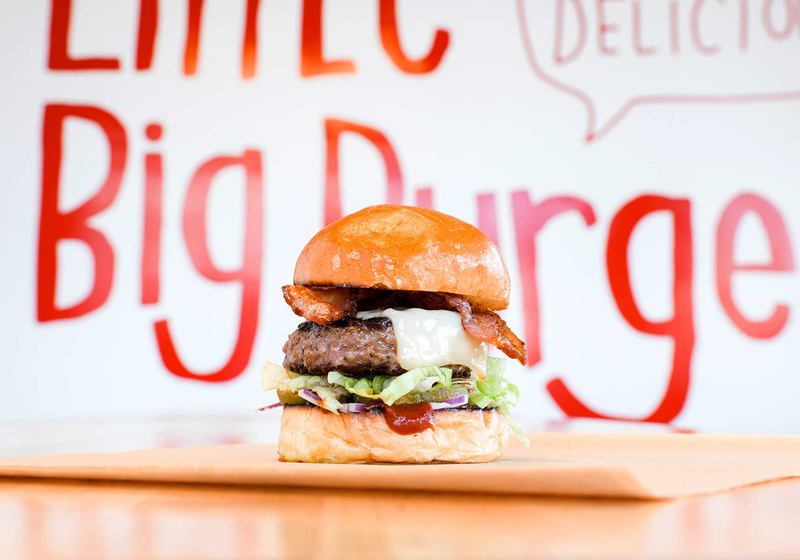 Next door, Little Big Burger’s short but sweet menu offers hamburgers, cheeseburgers and veggie burgers with truffle fries, soda and beer. After a rummage through more vintage treasures at SE Hawthorne’s Really Good Stuff — and because we haven’t eaten enough in the last 24 hours — our final stop is another unmissable local mini-chain, Salt and Straw. I sample some limited-edition ice cream flavours — white toast and apple butter; bone marrow and smoked cherries — before settling on the classic pear and blue cheese. I peruse the menu on the flight home— crafted in United’s own kitchens, using seasonal and locally-sourced ingredients— and it seems an appropriate end to this trip. We begin with pan-seared prawns with pesto and kawakawa and melon salsa, followed by a salad of fresh seasonal greens, then onto a black Angus beef fillet with horseradish jus, croquettes, and greens. The dishes are served with wines selected specifically to complement them. To finish, a selection of cheeses with grapes and crackers is the classy choice, though it’s hard to resist the outrageous sundae cart. At the touch of a button I am reclined into a completely horizontal position. As I lie back, looking and feeling like an advertisement for business travel, I have the chance to reflect on my journey. I’m struck by the strength of Oregonian culture, where traditional and contemporary concerns and techniques intertwine to create something entirely of the now. Whether it’s vintage clothing and objects being repurposed, or small-batch, locally sourced food being prioritised, there’s a drive towards good living that above all respects the environmental and human resources that facilitate our consumption. 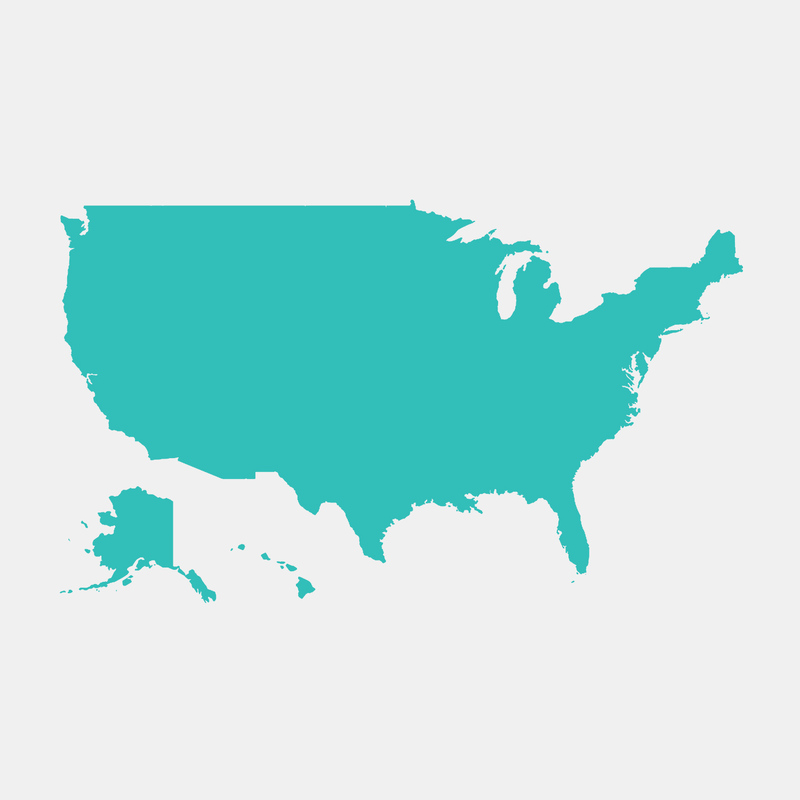 In a country better known for rampant mass consumerism, this is perhaps a surprise — but it’s one that sets an example, acting as a template for broader change.